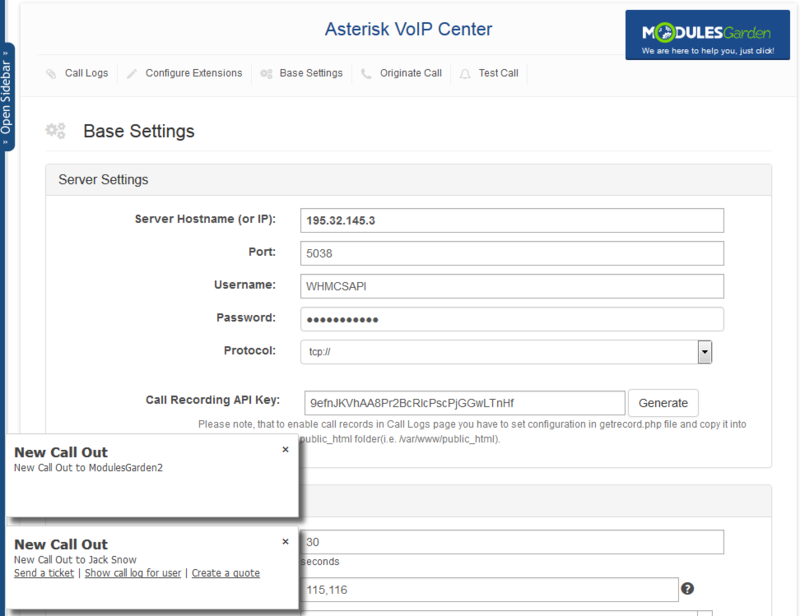 Asterisk VoIP Center For WHMCS will allow you to integrate Asterisk server with your own WHMCS to remotely monitor, replay and originate all the VoIP calls. 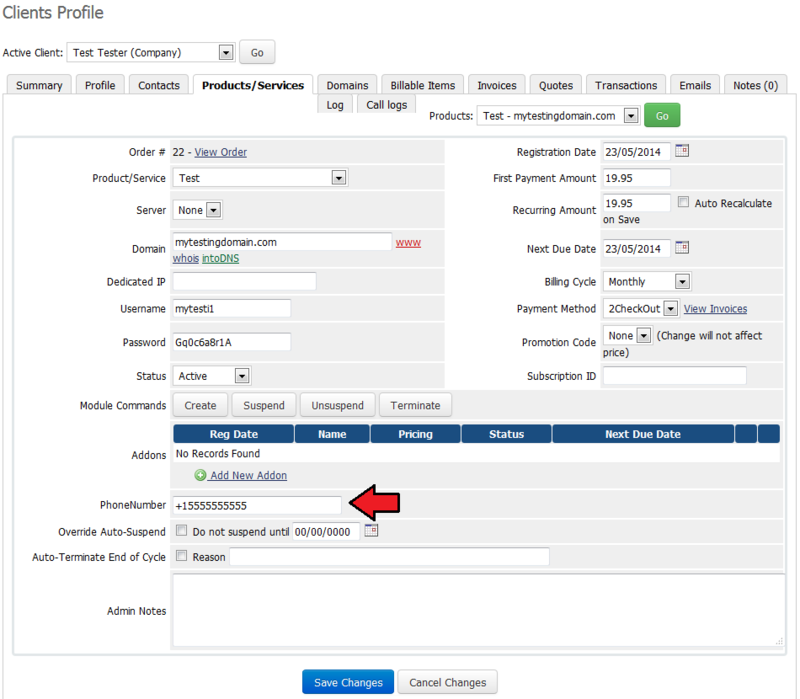 The module offers connection owing to which you will be able to view detailed listing of calls and filter them, configure extensions and call in/out pop-up templates, and much more. 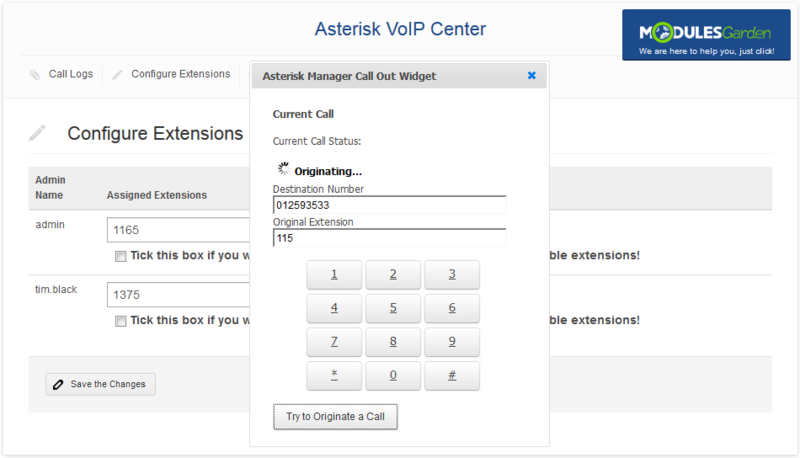 What is more, with Asterisk VoIP Center For WHMCS will have a possibility to originate calls between any destination number and original extension. 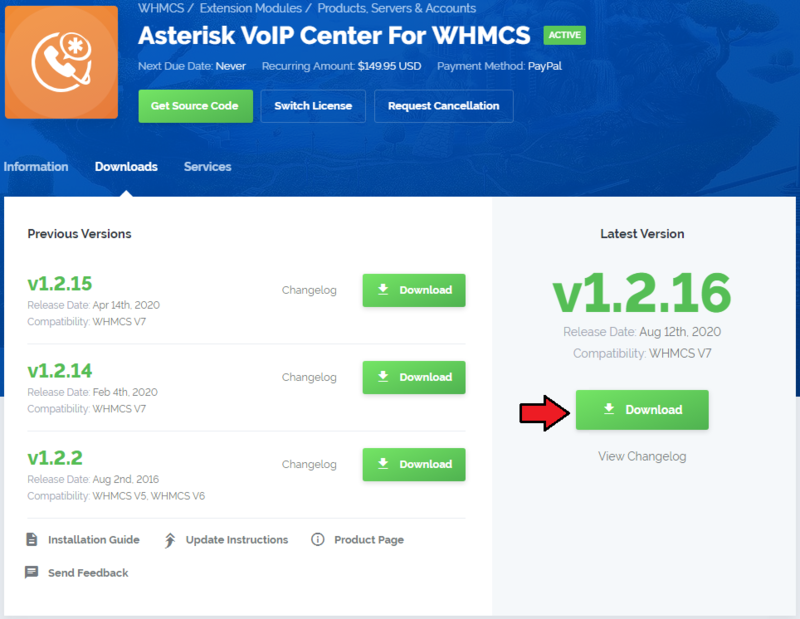 This tutorial will show you how to successfully install and configure Asterisk VoIP Center For WHMCS. As presented on the screen below, the first one is dedicated to PHP 5.6 up to PHP 7.0, while the second one is aimed at PHP 7.1 up to PHP 7.3. 4. When you install Asterisk VoIP Center For WHMCS for the first time you have to rename 'license_RENAME.php' file. File is located in 'modules/addons/AsteriskVoipCenter/license_RENAME.php' . Rename it from 'license_RENAME.php' to 'license.php' . 5. 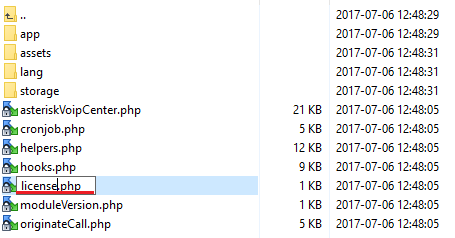 In order to configure your license key, you have to edit a previously renamed 'license.php' file. Log in to your WHMCS admin area. Go to the 'Setup' → 'Addon Modules' . 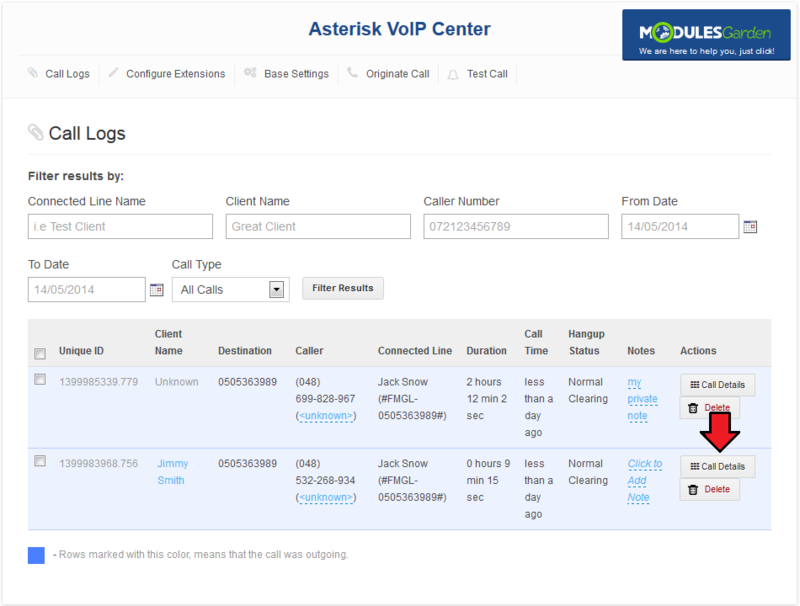 Afterwards, find 'Asterisk VoIP Center' and press 'Activate' button. To do so click on 'Configure' button, tick 'Access Control' near desired admin role groups and press 'Save Changes' . 8. Now, set up a cron job (each 5 minutes suggested). Remember to replace 'your_whmcs' with your WHMCS root directory. 9. Proceed to the 'Addons' → 'Asterisk VoIP Center ' → 'Base Settings' . 10. Now, fill out 'Server Settings' panel to configure connection with Asterisk server. The credentials that must be used here are Asterisk Manager User Details. Log into your FreePBX UI. In addition to filling in server configuration, generate 'Call Recording API Key' , which afterwards will be used to allow replay call records. Note: 'Server Hostname' field may be filled either with hostname or IP address of Asterisk server. 11. Proceed to 'Base Settings' panel to define additional configuration. Checking Frequency - how often module looks if there is any new calls. All Internal Extensions List - fill in here list of all extensions existing on your server. Phone Custom Field - custom client field containing client's phone number. Call Logs Per Site - number of call logs show in 'Call Logs' page. 12. 'Access Control List' allows you to define who (besides Full Administrators) can access 'General Settings' page. You can allow access for a specific admins or admin roles. 13. Last step of configuration is editing templates used as call in/out pop-up templates. As you can see on the following screen, default pop-up templates are installed automatically during activation of the module. All the templates are editable, use available variables to insert into the templates. You will the list of variables in Tips section. 14. Screen below presents pop-ups which are using default templates. This section describes additional configuration allowing you to replay recorded calls from WHMCS system. 15. 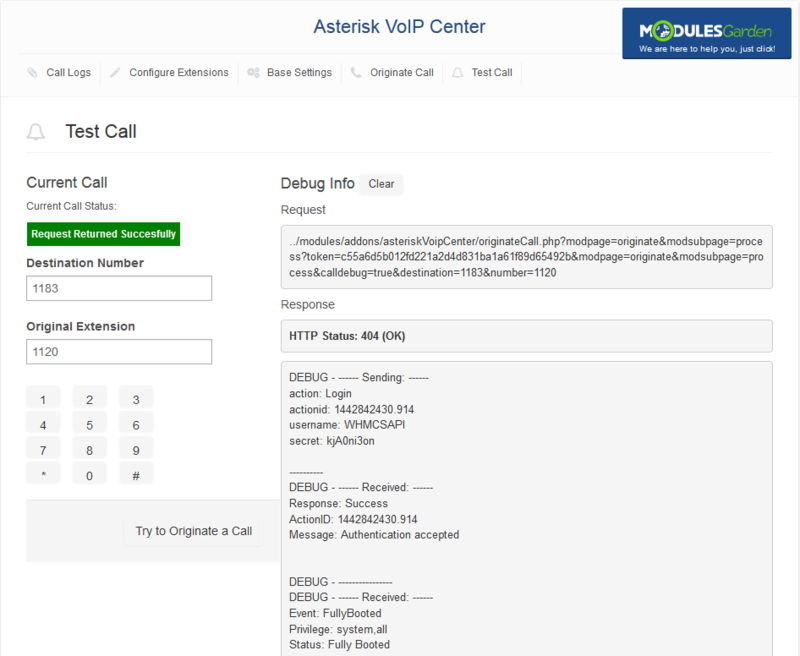 Upload 'getrecord.php' file located in the Asterisk VoIP Center package into root public folder of your Asterisk server. 16. Edit previously uploaded file, fill in your WHMCS server IP and previously generated 'Call Recording API Key'. 17. Afterwards, force call recording, to do so proceed to 'Applications' → 'Extensions' and edit extension you wish to enable call recording for. Force call recording for each extension as shown on the following screen. 18. 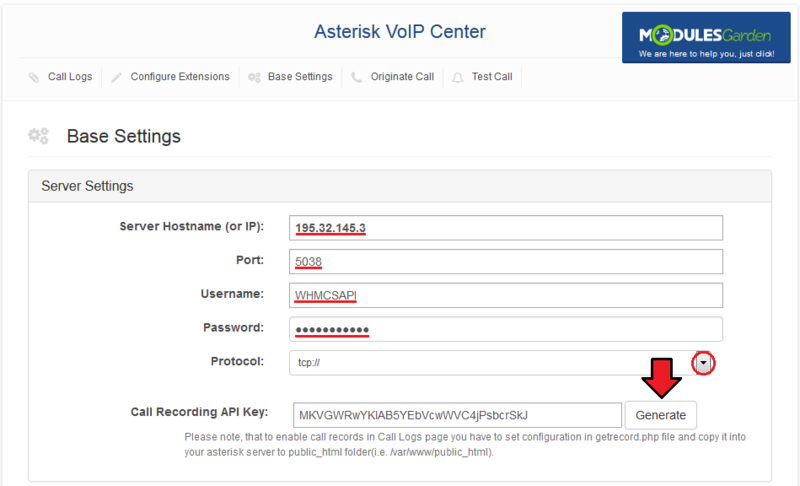 You have just successfully installed Asterisk VoIP Center For WHMCS! 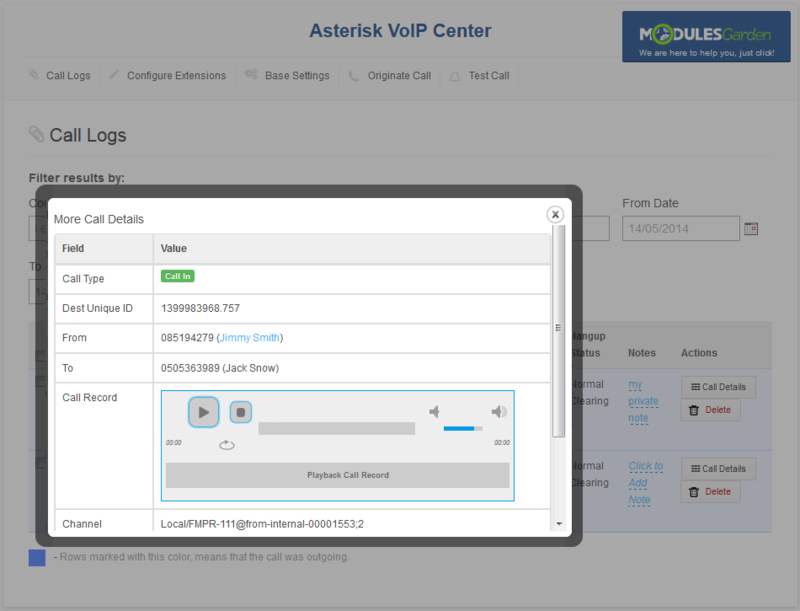 At this section we will show you possibilities of Asterisk VoIP Center For WHMCS. Our module allows you to view log of all calls with their details and originate new calls both with client and custom numbers. In addition to that you are able to view calls which just started owing to pop-ups and easily modify templates used by those pop-ups. 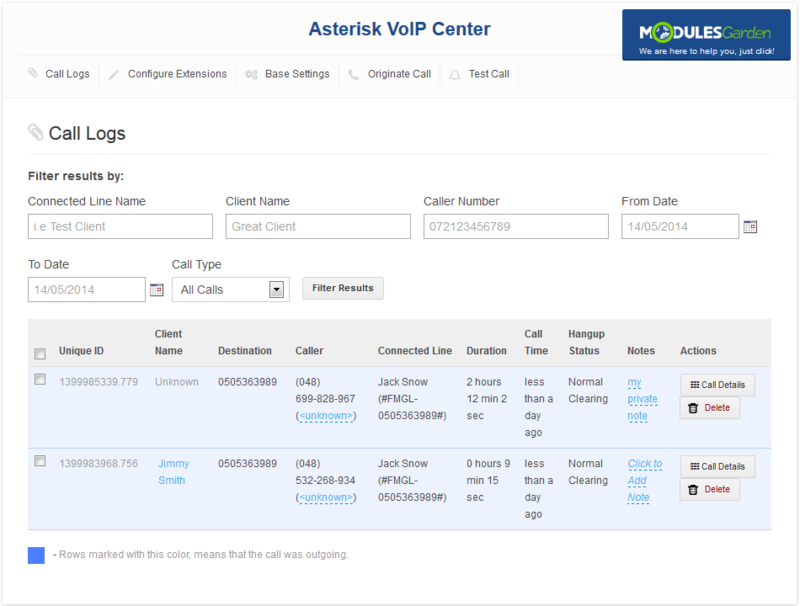 At the 'Call Logs' tab you can find list of all calls made through your Asterisk server. You can find there a lot of useful information such as caller, destination, call duration and time. Therefore you are able to easily view and filter all those calls in order to view traffic depending of time, caller, connected line or client. Additionally, you can add a note to each call where you can store important information, remove call record from a list and view even more details of the call. Press 'Call Details' as shown on the following screen to view more information about a call. The pop-up with detailed information about the call will show up. You can also playback the call record at any time here. 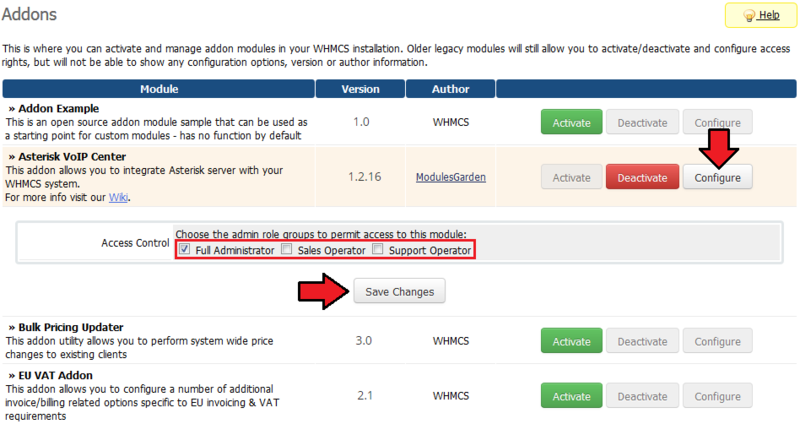 This tab allows you to assign extension to each administrator account existing on your WHMCS server. This feature extends possibilities of your Asterisk server. 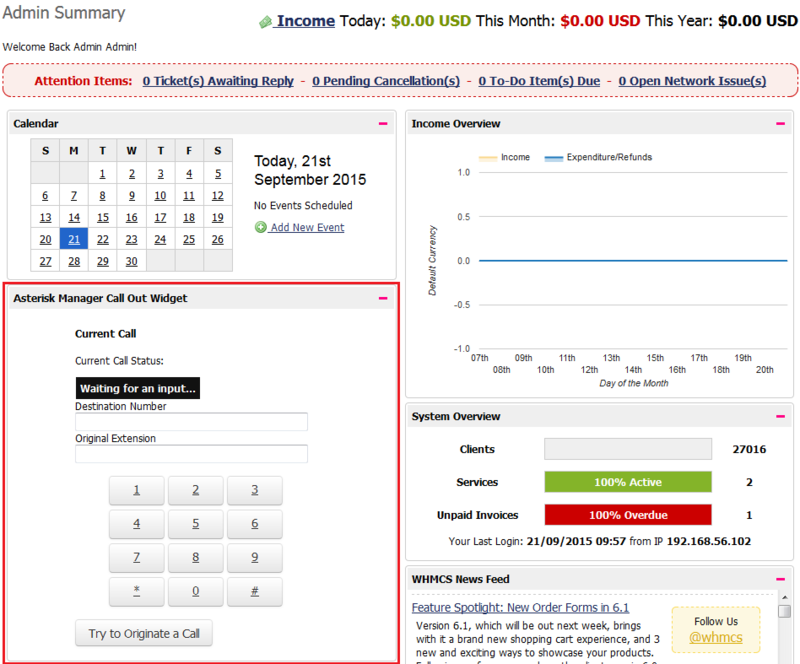 At the 'Originate Call' tab you are able to originate a call between two numbers. In order to successfully originate a call, at least one of those numbers have to be extension on your Asterisk server. That means you can call any number, it does not matter if it is another extension or even a mobile phone. In this way you can easily start a call between one of your administrator (via his extension) and client (using his mobile phone number). Test call allows you to view extended information about call origination. Along with our module you will receive 'Asterisk Manager Call Out Widget' . This widget allows you and any of yours administrators to easily create new call from your WHMCS system. As soon as you install your Asterisk VoIP Center For WHMCS, new functionality will appear at the admin area → Client Profile. Owing to our module you are now able to originate a call with your client through one click as shown on the following screen. Note: In order to successfully originate a call between you and client, your extension has to be assigned to your admin account at the 'Configure Extensions' tab of our module. Please note that a 'Phone Number' field on 'Products/Services' page is only for the client op keep data. 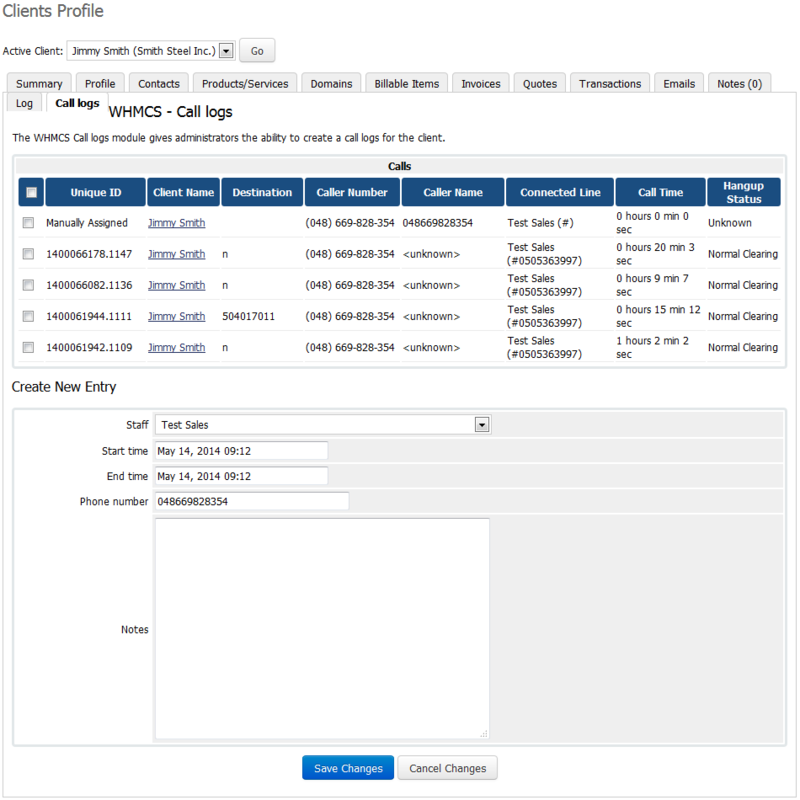 You can easily access call logs of a client and view all details of a call. Furthermore, you can add here calls which was made outside of your system. If you have SMS Center For WHMCS in your system, you can configure it to send unanswered call notification to an administrator who missed a call. Firstly, create an e-mail template to send such notification. 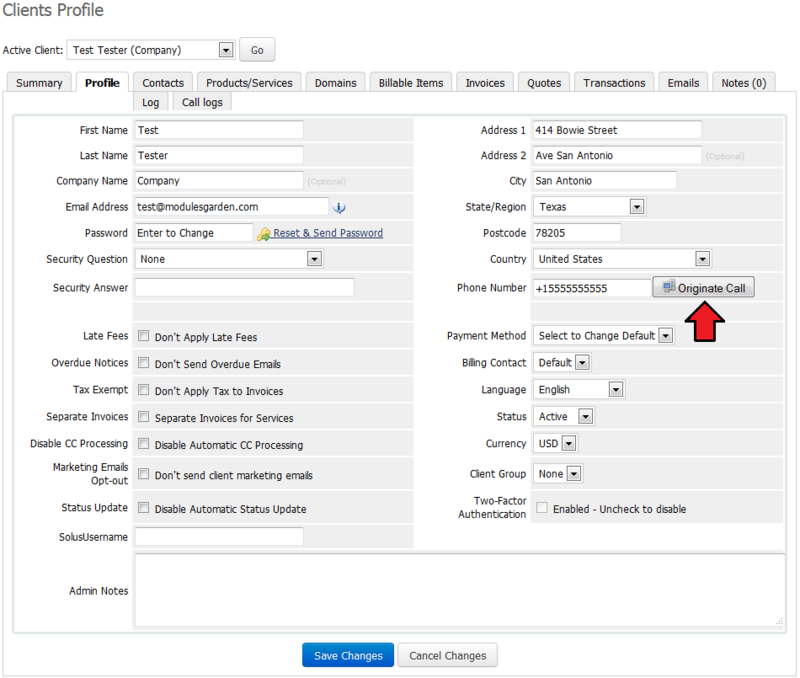 Then move to SMS Center addon, configure the equivalent text message and enable it. Secondly, go to Asterisk VoIP Center → 'Base Settings' page. 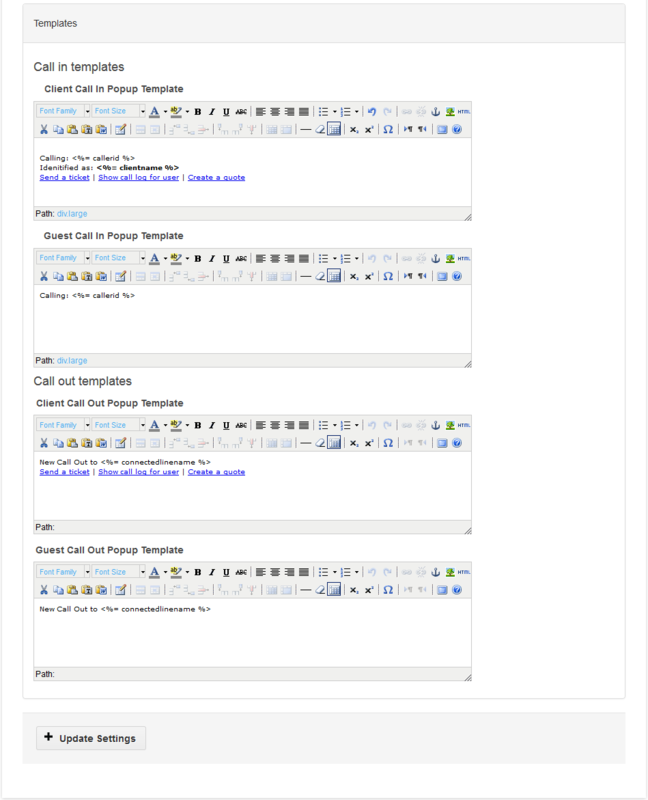 Proceed to panel 'SMS Center integration' and choose a previously created SMS template from 'Unanswered Call SMS Template'. 1. List of variables supported by templates. 'Addon' → 'Base Settings' → 'Templates'. This page was last modified on 4 March 2019, at 11:54. This page has been accessed 48,619 times.